We use our unique moulding techniques, careful material selection, decades of product knowledge and design expertise to manufacture bearings that outperform other plastic bearings on the market today. We are confident that we always offer our customers high quality, world-class plastic bearings to match the needs of their application. This helpful guide can be used to find out the average life of a BNL bearing if you know the required speed of operation and load for your application. The life of a bearing is affected by its environment, the load it must carry, the speed it operates at, plus how much these vary across its service life. A plastic bearing can carry heavy loads, reach high speeds and is suitable for many specialist and severe environments. Where a bearing application is exposed to extremes of all three factors, potential life can be affected. In this instance, our expert team can advise on choosing an appropriate bearing to meet your requirements. 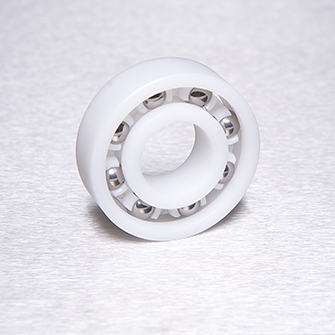 Made of thermoplastic materials, BNL bearings are all lightweight, have low inertia, are water-resistant, nonmagnetic and need no lubrication. We use a range of materials to meet a variety of application requirements, from room temperature operation and immersion in water, to high operating temperatures and significant chemical exposure. Ideal for extreme temperatures or highly corrosive chemicals are used. BNL are a leading supplier of overhead high-quality, long-lasting conveyor wheels for global leaders in poultry and food-processing machinery. A wide range of light, medium and heavy duty pulleys handling up to 500kg. 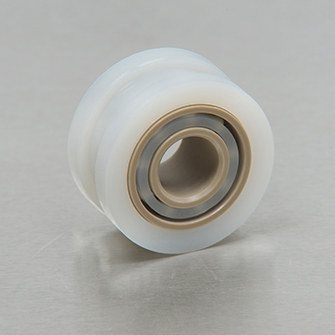 Our end cap and skate wheel conveyor bearings are used in various materials and food processing applications. For applications needing a steady, axial loaded rotation. Used to keep machinery and products moving in industries world-wide, our radial bearings are made with Acetal and stainless steel balls. Used to support shafts in a vast range of industries and applications, our product will handle loads up to 95kg. 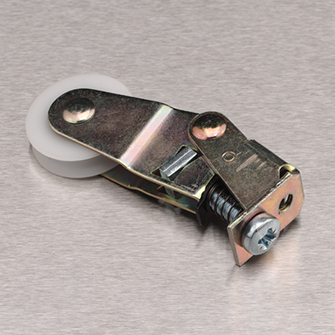 High quality wardrobe door wheel bearings, hard wearing and smooth running. 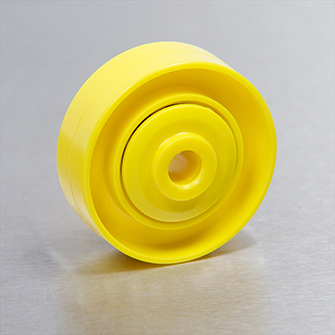 Our lightweight plastic bearings can be used in applications where decreased weight can increase performance and speed. Exhibiting low friction, BNL’s plastic bearings will need less energy at start-up and in operation, lowering energy use and motor specifications. Our bearings do not need lubrication, eliminating contamination of other components or processed products by leaching lubricants. 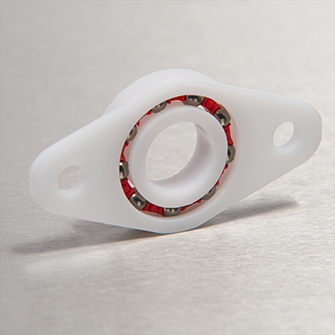 Plastic bearings have an inertial torque that is less than 10% that of metal bearings. 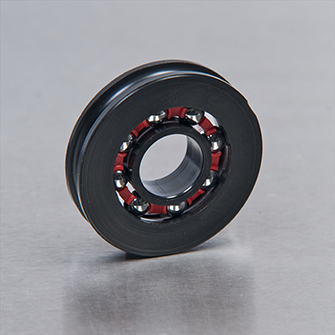 The performance of our bearings is not diminished by frequent wash-downs or exposure to chemicals, giving them excellent wear rates, even in harsh environments. No need to replace lubricants and or change corroded bearings, our bearings will continue to perform without frequent maintenance. Completely metal-free options make BNL bearings ideal for applications where metal can distort magnetic resonance. Injection moulding techniques make it possible for the bearing function to be combined with other features such as clips, shafts and tyres, significantly broadening design possibilities. 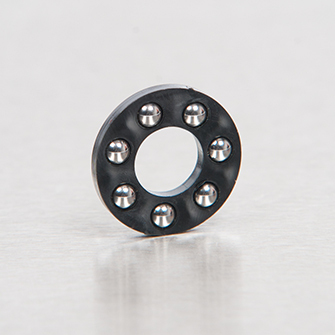 Fixings and features can be designed and moulded into the bearing component itself, eliminating whole assembly stages. 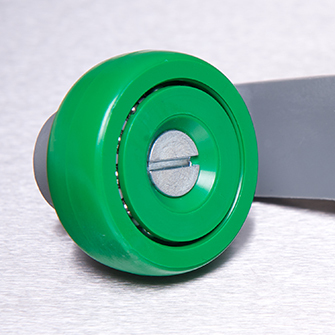 Our specialist plastic moulding techniques produce a more durable bearing surface, significantly improving wear resistance and increasing the life of our products.